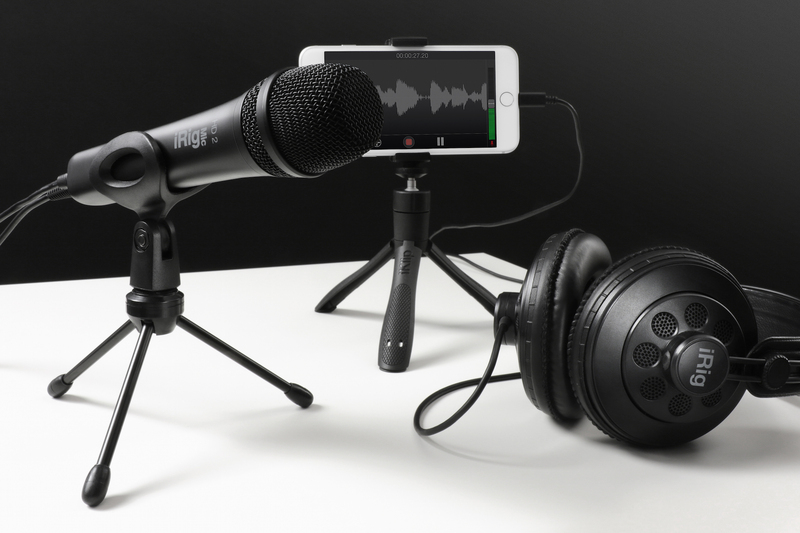 iRig Mic HD 2 comes with downloadable versions of Mac and PC software including Ableton Live Lite, a Digital Audio Workstation application; T-RackS Classic collection of audio processing plug-ins; and Mic Room, with incredibly realistic virtual models of some of the most desirable microphones of all time. Also included are iOS apps such as the Mic Pack for VocaLive, that adds a collection of virtual microphone models to the real-time vocal effects processing and multitrack recorder app; Pro Bundle for iRig Recorder, which adds indispensable processing like equalization and compression to the pro-audio recording and editing app with video; and Mic Room, the microphone modeling app. All prices excluding in USD. www.irigmichd2.com or check out this video to see it in action.